What if I told you that the Nobel Prize that went to Canadians Frederick Banting and John Macleod in 1923 for the discovery of insulin treatment should not have happened. Instead the award should have gone to Romanian born Nicolae Paulecu (1869-1931). 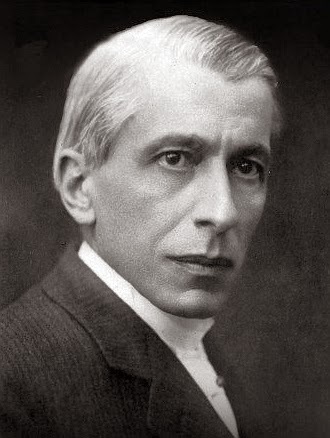 Paulescu had patented his work in Romania, however since no clinical work resulted from his findings, he wasn't high on the radar in the scientific world. However, Banting, Macleod and another colleague, Collip, purified the extract and injected it into diabetic humans. This awarded the Canadian men the honor of discovery of the insulin treatment. But is this really right? Not only was the work patented but his work was completed prior to the Canadian team even starting, there are published works in Romanian papers in 1921. To this day many people have been fighting to right this injustice. I think that we should give credit where credit is due. In Romania he is honoured, even cities in Transylvania, have had a stamp or postmark for his work. Its been said that he was denied the prize because of his anti-Semitic views. But if we take a trip through all the prize winners of the past we shall see the line on peoples views, or awards that have been given without earning it, has been crossed many times. In 1994 John Forbes Nash, which inspired a biography and a movie A Beautiful Mind, received a Nobel Prize. However this stirred up issues because of his mental state and his alleged anti-Semitism. How is this any different then Paulescu, that they have denied him an award but given another with the same alleged views. Fritz Haber was awarded a Nobel Prize in 1918. If the name rings a slight bell it would be from your high school history classes. Haber was involved in the developing of poison gases for warfare that were used during World War I, where Romania was involved on the side of the allies. I also find it hard to believe that Gandhi was never awarded the Nobel Prize for Peace, but people like Rigoberta Menchu win 1992, turned out her story was partly factious and President Obama had only been in office for nine months. To add to the Obama story the nominations were due that year by February 1st. Doing the math, Obama was only in office 12 days before receiving the nomination. Gandhi's life's work was that of peace. Even Albert Einstein had been quoted to say that Gandhi is "a role model for the generations to come". Before anyone takes any offense, I am only pointing out issues with awarding of the Nobel Prizes and not the good that the above people have done in their fields of work. So where does this leave Paulescu and his body of work? As it stands he is not recognized by the Noble Committee. I think that before nominations occur I think a little more homework needs to be done. At this time, people that are qualified the field are sent invitations to nominate people for consideration. After the nominations, form March to May there are reports outlining of each candidates body of work. I want to know how detailed these reports are. Do they dig into all possible sources that could have influenced the candidates work? Do they look for patients in other countries that the work might infringe upon? As we see in the past, in the case of the discovery of insulin, that this is not the case. But what has been done to correct this? They could have reworded the prize not for the discovery of insulin but to the discovery of human applications for treatment for diabetes. This would not infringe as Paulescu did not have the clinical trials for human testing as well as his version was not safe to be injected into humans. Paulescu just had hypothesized on what it could do for humans living with diabetes however his papers all centered around the use of insulin in animals. In the world where we are adapting and building on others ideas when do we have to step back and call foul. In todays media, patent wars continue on a daily basis. No different to awarding someone a prize for another's initial work. Romania, I conceded that the discovery of insulin is that of Nicolae Paulecu. Now we have to get another 7 billion (and the Nobel committee) to agree. As we look to the Prizes' awarded this fall all I have to say is may the best, and right, person win.